Some vision loss is unavoidable as we age. 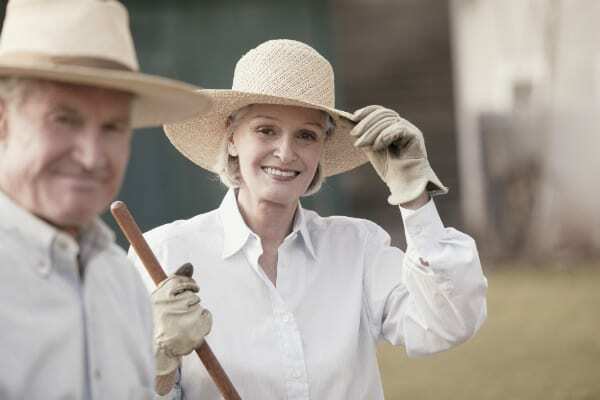 Seniors are particularly prone to conditions like cataracts, which cause the lens of the eye to become cloudy. Likewise, certain ethnic groups are more prone to vision problems than others, as are people with family histories of vision loss. None of us can stop the aging process or change our heredity, but is there anything we can do to help protect our vision throughout our lives? Yes! Here are some practical steps backed by Florida Eye Specialists and Cataract Institute that you can use each day to help preserve your sight. Smoking offers no health benefits whatsoever, and most people know it’s associated with many life-threatening illnesses including lung, throat, and mouth cancer, COPD, stroke, and heart disease. But few people realize that smoking is also associated with an increased risk of vision loss. By simply by kicking the habit, you can reduce your chances of developing cataracts, glaucoma, age-related macular degeneration, and other vision problems. If you play sports like hockey, football or baseball, you know it’s essential to wear protective gear to shield parts of your body from injury. But if that protection doesn’t extend to your eyes, you’re putting your vision needlessly at risk. Always wear the recommended protective masks or goggles during sports. Likewise, if you’re working in the garage, workshop, welding, blowing leaves, or using machinery like wood-chippers or lawnmowers, protect your eyes. Open flames can burn your eyes, and whirring blades can fling sharp wood splinters and other debris into your delicate corneas. Even if protective goggles and masks feel a bit silly and cumbersome, it’s always better not to take any chances when it comes to shielding your eyes from injury. Most of us are aware of the skin cancer risk of spending time in the sun without UV protection, but we don’t always realize that it’s equally important to protect our eyes from the sun’s harmful rays, especially on very sunny days. When you’re performing your daily sun protection regimen, don’t just stop at applying sunscreen. Make sure to wear UV-blocking sunglasses and, if necessary, a visor or brimmed hat to further shade your eyes from the sun. It’s a simple step that can make a world of difference in your eye health! If you spend most of your workday looking at a computer screen, you’re probably well-acquainted with eye strain and resulting headaches. Minimize the effect by taking regular breaks to look away from your screen and focus on something else. Contrary to popular belief, staring at a computer or TV can’t actually cause vision loss, but it can produce discomfort. Fortunately, it is easily relieved by giving your eyes regular breaks while reading or surfing the web. There are some medical conditions that if left unmanaged can harm your sight over time. One of these conditions is diabetes. Non-compliant diabetics are at increased risk of vision loss due to complications like diabetic retinopathy and diabetic macular edema (DME). Reduce your chances of developing these conditions by following your doctors’ recommendations, sticking to your prescribed diet, and making sure to keep your blood glucose levels under control. Your eye health is only one facet of your overall health, and you can help protect it by making sure your body is properly fed and cared for. That means eating a nutritious diet, limiting sugar and alcohol consumption, and exercising regularly. Your vision is fine, so that means you don’t have to go to the eye doctor. You see your primary care physicians once a year to make sure your body is doing everything it’s supposed to, and to catch any early signs of illness before they have a chance to progress. The same needs to be true for your eyes. Even if you enjoy 20/20 vision today, you owe it to yourself to see your eye doctor regularly to make sure it stays that way! That way, if the worst happens and you begin experiencing symptoms of vision loss, you and your doctor can work together to halt the progression. For more information or to schedule an exam, contact Florida Eye Specialists and Cataract Institute. We look forward to hearing from you! The above article was for informational purposes only and should not be considered an adequate substitute for medical care.